SAN FRANCISCO, CA -- (MARKET WIRE) -- December 6, 2005 -- MarketTools, Inc., the leading innovator of online marketing research, announced today that it has appointed Pamela S. Kramer as its Chief Marketing Officer and W. Michael Conklin as its Chief Methodologist. The addition of both industry leaders underscores MarketTools' commitment to accelerate its communications, product development, and advanced analytics capabilities to grow the company's global influence in the marketing research space. As Chief Marketing Officer, Kramer will be responsible for leading the branding and positioning of MarketTools' products and services. In addition, she will provide input in product development and delivery. As Chief Methodologist, Conklin will be responsible for leading the design and implementation of advanced analytical products and techniques used for MarketTools' research. "Pamela and Michael bring an incredible amount of experience and savvy to their positions, and both have proven to be very capable, insightful leaders in their respective fields," said Amal Johnson, CEO of MarketTools. "Since a company is only as good as its people, we're committed to hiring only the best innovators, thinkers and calculated risk-takers to help MarketTools compete successfully in this growing research marketplace." "How a company defines a product is just as important as how it markets it. As MarketTools gains a higher profile, there will be many opportunities to position the company's exemplary research products, people and capabilities in the best light -- a task that I am excited to be taking on," said Kramer. "There is a tremendous opportunity to increase the level of our analytic capabilities by applying the latest thinking and methodologies," said Conklin. "I'm looking forward to introducing new research concepts at MarketTools, and raising the bar on the analytical tools and services that we provide to our customers." Pamela Kramer is an entrepreneurial leader with more than 15 years experience in high-technology and financial services marketing, new business development, and in pioneering new programs that drive business growth and cut costs. As the former Chief Marketing Officer with E*TRADE FINANCIAL, she consolidated marketing across all retail brokerage and banking divisions, developed clear customer segmentation, and drove the development of an automated direct-marketing infrastructure to facilitate cross-sell. Before becoming CMO, she successfully led the delivery of five award-winning versions of the company's web site, and built the company's first product management, product development, Web design and Web production teams -- first as Vice President of Product Development then as Chief Global Products Officer and Content Development Officer. Kramer's background also includes marketing and product management roles with Salomon Brothers and Storm Technology. Michael Conklin is a marketing research veteran and analytical methodology pioneer with 24 years experience, and is a Bayesian research modeling expert. He comes to MarketTools after serving for 10 years as a Senior Vice President and Team Leader of Analytic Services for GfK Custom Research Inc. in Minneapolis, where he was instrumental in developing key analytical procedures for customer studies. Prior to GfK, Conklin served as a Vice President of Analytic Services for Custom Research Inc. as well as President of Research Innovations Inc. 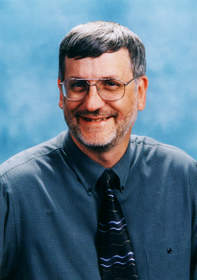 He is a frequent speaker at the American Marketing Association's Annual Advanced Research Techniques Forum as well as at the American Statistical Association's Joint Statistical Meetings conference. In addition, Conklin has written numerous papers on research methodologies and applications for key marketing publications such as Marketing News and Marketing Research Magazine as well as numerous statistical journals. MarketTools is the leading innovator of online marketing research. MarketTools combines the premier technology platform for data collection, reporting and analysis; industry-leading research expertise; and a best-in-class panel of over two million individuals worldwide to deliver deeper market understanding and interactive insight. The company provides a full spectrum of high-quality, highly accessible market research capabilities to leading businesses and organizations worldwide. Through Zoomerang, the company offers the leading self-service platform for online research. MarketTools' solutions have empowered more than 400 of the Fortune 500 with faster, richer access to valuable market knowledge, helping them make critical business decisions with confidence. Learn more at www.markettools.com. Michael Conklin, Chief Methodologist, MarketTools, Inc.